Why should more barbers be using hair gel? Home » Barber Training » Why should more barbers be using hair gel? As barbers look to adopt new and exciting products, The Bluebeards Revenge and award-winning hairstylist Tom Chapman have come together to remind barbers not to underestimate the basics! Hair gels, they’re only for 12-year-old boys, right? “Wrong,” says Tom Chapman – founder of The Lions Barber Collective charity and international ambassador for The Bluebeards Revenge. A good hair gel can be applied to every type of haircut and promises to improve the styling and lasting effects of a barber’s work. And in an industry that is more competitive than ever before, it’s important to use these types of product to make sure your clients are leaving your chair with the best possible results. 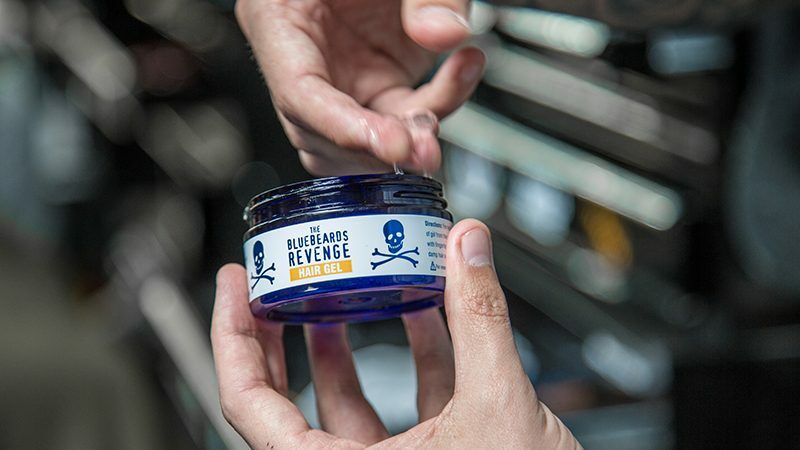 To celebrate hair gels and their resurgence among hairstyling professionals, The Bluebeards Revenge has launched a new collaborative hair gel with Tom and The Lions Barber Collective. 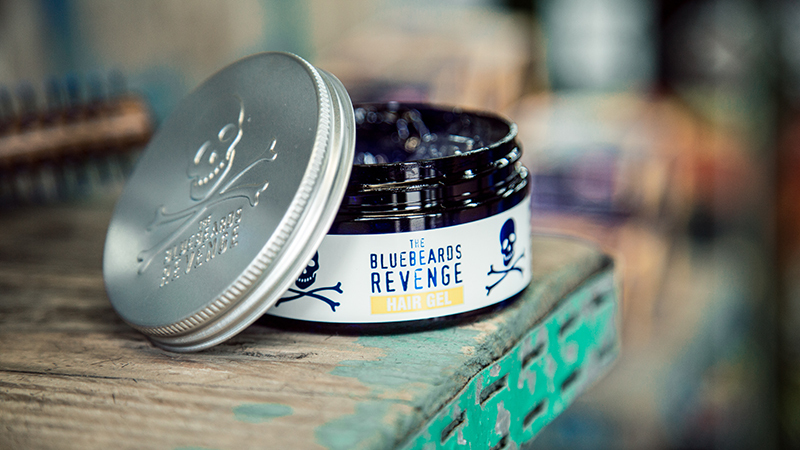 The Bluebeards Revenge Hair Gel reflects the evolving landscape of men’s hairstyling and is an essential product for barbers. Its versatility means it acts as a fantastic cutting agent/pre-styling product, while still creating the same traditional strong hold and shape that men expect. Add to that its classic barbershop fragrance and it’s head and shoulders above the supermarket slimes of the past! Better yet, 50p from every tub sold is donated straight back to The Lions Barber Collective; helping the charity to raise awareness and prevent male suicides all over the world!